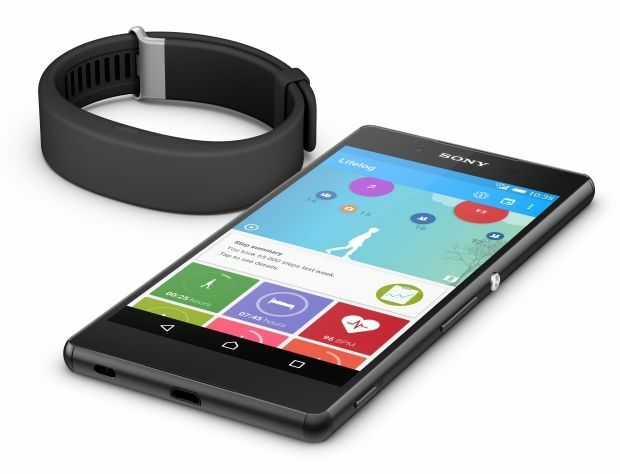 The Sony Smartband was unveiled more than a year ago and we finally have its successor. Sony has just unveiled the Sony Smartband 2 to take another shot at the wearable scene. Sony likes to call the Smartband 2 a “lifelogger” due to the fact that it pairs up with Sony’s Lifelog app to bring you your fitness and stress levels. The Smartband 2 is not only a fitness band, as it also brings you notifications. The band gauges your fitness levels, your activity and brings you your notifications. The Smartband 2 uses LEDs and vibrations to notify you about calls, messages or emails. You can also control your music player directly from the band. The major addition on the specs front from its predecessor is the inclusion of an advanced heart rate monitor. The band weighs 58 grams and measures in at 40.7 × 15.3 × 9.5 mm. Other specs include IP68 certification for water and dust resistance, accelerometer, removable core, Bluetooth 4.0 and NFC. The band supports devices running Android 4.4 KitKat or later and iOS 8.2 or later. The Sony Smartband 2 is priced at $132 (~Rs. 8680) and it will arrive in 60 countries next month. Sony hasn’t yet mentioned the countries yet, so we don’t know if India will be one of them. The band will available in Black and White at launch next month, with pink and indigo versions arriving later. The Sony Smartband 2 seems very pricey if you consider the very affordable YU Fit and Mi Band. Considering the pricing, the Smartband 2 will compete against the likes of Fitbit.